Quality control labels or QC labels help businesses and manufacturers stay organized by identifying specific machinery or parts and allowing them to keep a written and labeled record of when a machine was previously maintained or inspected.Our QC labels come in a wide assortment of pre-printed labels that are easily dispensed as single labels and can be written on with a pen or marker. With many options to choose from, we have the bases covered for quality assurance, component inspection, tool calibration, maintenance, safety, inventory control and property identification. These labels are printed on a quality Tyvek material and are durable, oil resistant, and moisture resistant. 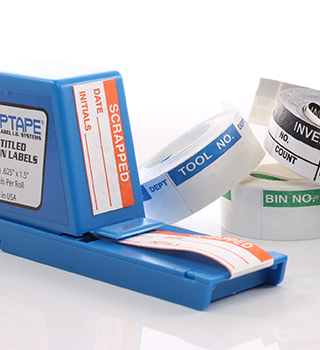 All labels have a permanent adhesive back and come in a handy dispenser that can fit almost anywhere.